In many parts of the world, the gardening business is one of those businesses with the potential of yielding long-lasting wealth for potential entrepreneurs. Needless to say, many homeowners like to have refreshing and inviting gardens with beautiful landscapes, well-trimmed hedges and colorful flowers. Gardening is a fast-growing business in many parts of the world. In the United States, it recorded a whopping growth of $256 billion in 2015. Meanwhile, this marked a growth increase of nearly $11 billion from the $246.6 billion recorded in 2014. 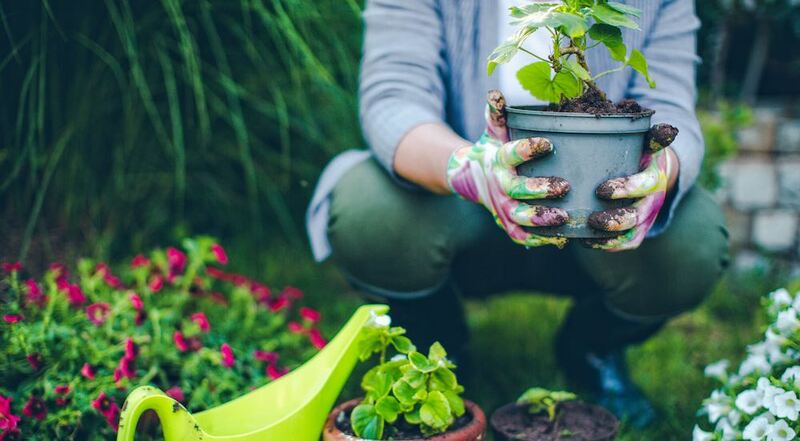 If you’re keen to start a gardening business but do not know how to go about it, rest assured that this article will guide you on how to start, run and market your Gardening business successfully. Gardening is one of the businesses that attract people and as such, you’re likely to find a decent number of professional gardeners in your area. Before you venture into gardening, try as much as possible to carry out a thorough research on your local gardening market. and the various gardening services they render to them. If your area has lots of gardening businesses near you, you should be wary of the kind of competition you’ll be facing. Also, try to find out the gardening services mostly demanded in your area. It is very popular to start a gardening business near where you live. Nonetheless, a proper research will help you to determine whether to site your gardens near you. If you’ll be choosing a different location –probably in view of the fewer competitors in it –ensure you evaluate important things such as nearness to market and the likelihood of deriving benefits. By comparing the benefits and downsides of gardening in different areas, chances are that you’ll eventually decide on the suitable location for your gardening business. Gardening is, of course, one of the aspects where natural skills are put to use. Besides the basic skills of beautifying gardens with plants, you must show adequate levels of creativity, negotiation, communication and organizational skills to succeed in the business of gardening. Don’t enter the business of gardening except you’re very sure you have all of these skills and a passion for the business. In an evaluation of your creativity, some customers will require you to design lovely landscapes for them. More to that, your people skills, as well as your negotiation skills, will be put to test when you’re interacting with clients. While gardening might not be one of the businesses that require too many running costs, you still have to evaluate the necessary expenses for keeping the business in working order. In your evaluation, consider the cost of purchasing gardening equipment and what you’ll be spending to transport tools from one location to another. Provided you’ve already obtained a professional qualification, you can start your gardening business with small capital. Meanwhile, your business expenses won’t go beyond the costs of transportation, purchase of goods and equipment. During the business start-up, you’ll have to spend considerably on purchasing gardening tools but as you make reasonable progress in the business, your expenditure is very likely to reduce. What Tools Do I Need To Start A Gardening Business? As stated earlier, starting a gardening business, requires various types of equipment to get you running. 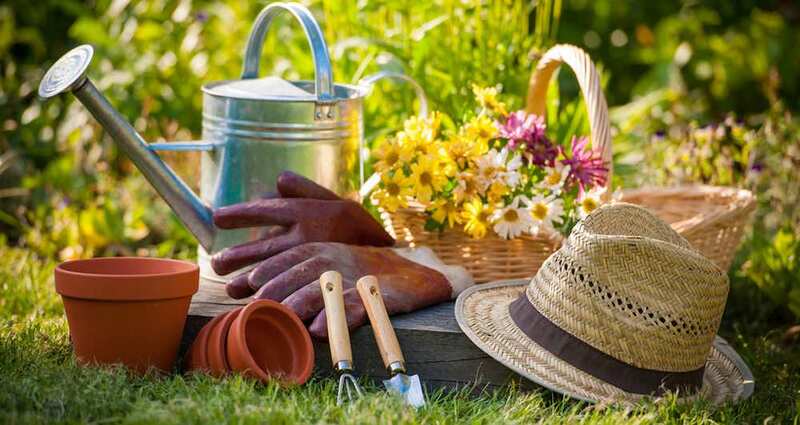 Common gardening tools, like a spade, shovel, fork, leaf rake, trowel, shears, kneeler, edging knife, pruning saw, pick axe, wheelbarrow, secateurs, and watering can. Garden products, such as compost, lawn care items, paving, and soil. Plants, such as flowers, trees, shrubs, and seeds. Large pieces of equipment, like the old-fashioned lawnmower, a petrol hedge trimmer, etc. Gardening wear, such as a good kneeling pad, gloves, goggles and other safety items. Some gardening tools can be quite expensive for you to afford particularly if you’ll be starting your gardening business on a tight budget. Advisably, you can evaluate the cost of purchasing the cheap tools and what you’ll be charged for renting the expensive ones such as gas-powered lawnmowers. By simply buying the cheap tools and renting the costly ones, you’re much likely to keep your business expenses within affordable limits. Remember to include the cost of a reliable computer or laptop in your projected business expenses. The laptop/computer will be useful for design purposes that may include creating beautiful landscapes. If you’ll need somebody to help you with ancillary tasks such as conveying large tools from one location to another, you may have to hire one or more workers. You may not deem it necessary but if you’ll be receiving clients very often, an office space will be needed to welcome them professionally and discuss important business issues with them. More importantly, an office space can be used for storing large and small pieces of equipment when they are not in use. If you’ll be renting an office space for this purpose, try to situate it very close to your gardening market –where most of your clients are found. But if you won’t include the cost of an office space in your start-up budget, make sure you have a sufficient space for storing gardening tools in your home. If having an office space is a part of your gardening business plan, then you will find this list useful. Computers, printers, a scanner and a photocopier. A fax machine and telephone. Desks, chairs and work tables. Filing cabinets, cupboards, and shelves. Display stands for your portfolio. Professional qualification –such as a diploma in garden design –is one of the things that can set you out of the crowd in the business of gardening. Obviously, some clients expect you to show them proof of your expertise and in addition to your amazing track record, a professional qualification will convince such clients that you’re worth hiring. A significant number of institutions offer professional qualifications in relevant aspects including practical horticulture and garden design. Advisably, you can browse the internet for reliable information about these institutions and the prices they charge for the issuance of these qualifications. Importantly, you should choose the qualification best suited for the gardening services you’re rendering to clients. As a gardener, you’ll have to associate yourself with people frequently and in a friendly manner. Anyone, including old and young folk, can be your client and one of the things that can attract them towards you is your friendly disposition. If a particular client is satisfied with your gardening service, coupled with your friendly attitude, he/she is very likely to refer you to others who need gardeners probably to take care of garden lawns and hedges. In order to place your gardening business on the path of success, you need to find out an effective marketing strategy and stick to it. Some gardeners advertise their services using promotional items such as handbills, flyers and business cards. While this can be a good marketing strategy, it is better to have a strategy that promotes your gardening business online. Providing your business with an SEO-oriented website plus several social media accounts can go a long way to widen its reach and draw more clients towards you. Finding new customers is no easy task and it is even more difficult for a new business seeking to get noticed. Despite the challenges, there are various marketing opportunities to promote your gardening business without breaking the bank. This is probably the most powerful marketing tool of all time. You don’t even have to pay for this free publicity. By rendering great services and keeping your customers satisfied, they will tell others about your business. You should start by having a verified Google + page, and local listing with all the correct contact details. Then move on to other popular brands like Yelp, Mantra, TrustOrRun, etc. It is not a bad idea to get listed on these sites as people still look to business directories for information on local traders. Blogging provides an avenue for targeted marketing. By writing relevant and informative articles on your website or blogging platform, you gain more regular followers who appreciate your expertise. Some may even patronize your business. 4) Distribute flyers and business cards. You can pay someone else to post up your flyers around the locality. Just ensure they don’t break any laws. Also, provide your clients with lots of business cards to give out! This way, they get to cover places you wouldn’t reach ordinarily. Give a passionate talk or pitch at gardening-related events, and networking meetings. You might just convince someone to book your service. Not talking about newspapers here. Print your business name and logo on t-shirts and some stationary items. Your van is another place to have a huge inscription of your business logo. These offline marketing tools have proven their effectiveness over time. This is the age of the internet and every avenue must be fully utilized. From Facebook and Twitter to Instagram and Pinterest, explore the marketing opportunities that social media provides.